I have been devouring books recently. If you read my blog, you know I just finished binge watching Gilmore Girls so I decided to take a break from Netflix. I love to read things that I know are going to be movies. because I heard it was coming to PBS Masterpiece Theater and I loved Downton Abbey. I bought the book for my mother in law for Christmas and she quickly read it and passed it on. I don't usually like history books. I was worried it might get too dragged down in details about dresses, the buildings, the war, but this one was about the people and I loved it. I zoomed right through it. I am also watching the show and they are doing a great job with it. I will admit I read very fast and enjoy every second of it. I can tell you if I loved or hated the book after and what happened, but a month later, I won't be able to tell you much. In fact, I went to see a brand new musical on Broadway in December called Dear Evan Hansen on Sam Shah's suggestion. I read a little about it on the internet. My friends were asking me what it was about. I told them I really didn't know. Then, we are there and watching and it was like deja vu. I was remembering the timeline and the lines themselves and then it dawned on me I read the book last summer. I totally forgot even reading it but then I remembered that I loved it. It's kind of nice to forget it because then I kind of have a fresh mind when I am watching the movie. I like happy books, happy endings, light stuff. I do like stuff that makes me think. I love reading young adult books too because it is who I teach every day. I have a best friend from high school and we do dinner and a movie date every month. It doesn't matter that there isn't anything great out for movies, we will go see it. We have seen some duds but it is about the company. We love to look ahead and see what books to movies are coming and plan to see that. It is like a book club for two. We are critical of how the screen adaptation goes but we are usually very happy. 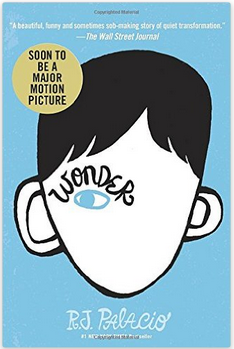 The next book I read last Saturday was Wonder by R.J. Palacio. Yes, I am able to read a book in a day, even with working out, making dinner, and going to church. It is a gift, I know. There I must use it :) This book is about a boy in high school who was born with facial deformities. He was previously home schooled but now is attending a private school and his journey and how the people around him are affected. It was really good. The movie is coming out later this year. 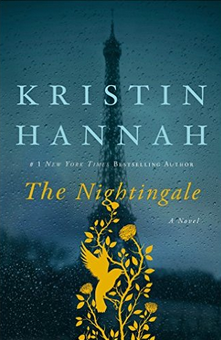 My friend recommended The Nightingale by Kristin Hanna. I have read her books before and I really like the way she writes. My friend told me it was a big book but I was reading it on my kindle, so it wouldn't intimidate me. It is a story of two sisters and their story living through the time of the Nazi invasion of France. 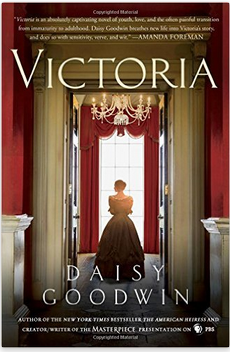 It is another history book that I wasn't sure I would like, but I loved it. I loved the development of their characters and their story. There was suspense. It does take place in 1994 as well, so there is a little bit of back and forth. I highly recommend this one. I read it last week with the bulk of it Friday night and finished it yesterday morning. I was going to work out yesterday morning and was at a point in the book that was going to make me cry, so I had to put it down. I did all my workout and errands and then sat down and finished it. So good! Took a look through my kindle (ipad really) to see what I might read next and then I remembered I just ordered Simon Vs. 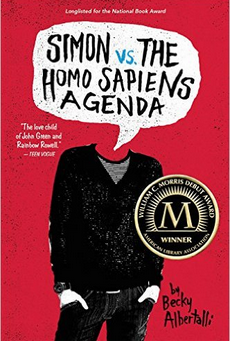 The Homo Sapiens Agenda by Becky Albertalli (only $1.99 on kindle right now) on the recommendation from Meg Craig from Twitter. Totally different from The Nightingale. I was back to YA. It was a quick read. I started and finished yesterday. I was tired, my eye balls were going to pop out, but I persevered and finished as my husband was watching all the Superbowl stuff.